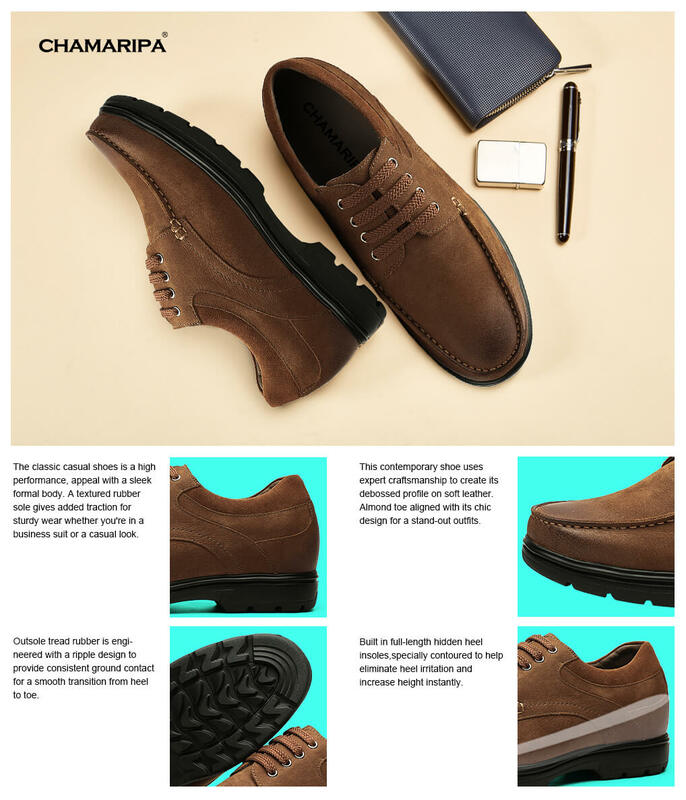 Men Height Increasing Shoes Casual Men Taller Shoes Heel Lift Shoess 6cm is best quality with free shipping to global. A well made comfortable shoe, with classic good looks. Great value for the money. Very comfortable as well. Nice looking dress shoe. We live in snow country and this has a nice tread as well. Very comfortable and elegant looking shoes. I love the way they feel and look. Only Chamaripa shoes. they do have a strong odor to them at first. Air them out before you wear them. Bought these for hubbs, they go great with dressy jeans or casual pants. He loves them! Easy to determine Size, Fits Great, This shoe is like wearing slippers, that comfortable... Seriously the best pair of shoes I've bought in years... Excellent Purchase! great shoes and I will definitely recommend to anyone looking for inexpensive shoes that will get the job done!